2012 is the greatest year for me in Android Ecosystem. I jumped from Gingerbread to Ice Cream Sandwich and now on Jelly Bean. Android is no more ugly or leggy OS. It’s beautiful and snappy and with each version my love towards android has increased. Today I listed out my favorites Android apps of 2012 which I love to have in my phone. Snapseed for Android allowing users to enhance, transform their photos. The app has built-in Google+ capabilities which makes the sharing easy on that platform. Snapseed uses gestures to adjust and control image settings. Tune Image – Use Ambience to create depth and vibrancy that uniquely adapts to colors and textures. Adjust White Balance, Saturation, Contrast, more. Straighten & Rotate – Rotate 90° and/or straighten photos with simple gesture controls. Crop – Easily crop images to remove distracting parts of your photo with standard aspect ratios, or a free crop. Black & White – Get that classic Black and White look with this darkroom-inspired filter. Vintage Films – Make any photo look like a vintage color film photo from the 50’s, 60’s or 70’s. Drama – Add style with a custom effect specifically tailored to your photos, ranging from subtle textures to wildly artistic effects. Grunge – Give your photos a totally unique, hip, and dingy look. Tilt-Shift – Create a narrow in-focus area designed to simulate depth of field, common in a Miniature Scene look. Details – Enhance details with traditional sharpening or the unique Structure control found in the Nik Software professional products. Center Focus – Draw attention to the subject of your photo by blurring and adjusting the brightness of the surrounding background. Organic Frames – Add stylized borders to photos for the perfect finishing touch. Afterfocus is a camera app that allows you to sharpen your image by blurring out some of the background. Afterfocus is an easy app to work with, requiring only a few onscreen finger swipes. This is my favorite Battery widget which gives battery level percentage. The widgets are Resizable and you can change the width & height based on your home screen. Other than the widget, You can see long term stats, Battery charging and discharging chart. Jelly Bean users get extended notification support . Chrome doesn’t need any introduction, just go and download it on your phone. The Chrome is mobile version of Google Chrome, allowing you to sync your bookmarks from your computer to mobile using Chrome Sync features. With Chrome beta, you can send pages from desktop Chrome to phone with one click, even if you’re offline. Eye In Sky Weather app provides weather information in clean and simple UI. The app includes 12 different weather icon sets with the ability to add your own sets. The app also has four widgets which are highly customizable. The beautiful app to access your favorite content and social networks. Flipboard supports up to 12 different social networks. The Social Networking site for Photographers. I guess the above title is right or I can say for Noob photographers. Instagram allowing users to edit photos using several effects and share it with your friends. If you’ve NFC enabled phone then you must have this app. By touch your phone to NFC tags, you can do cool things on your phone such as, Turn on/off Bluetooth, Wi-Fi, start app, set the ringer to vibrate, check-in, post on social site etc. This application supports NFC Forum Type 1, Type 2, Type 3 and Type 4 Tags as well as third party NFC Enabled tags like the MIFARE Classic, DESFire, Ultra Light and Ultralight C.
The best & favorite launcher of all time. Nova Launcher is highly customizable home screen replacement for Android 4.0+. You can customize homescreen, app drawer & trick with gestures. If you love effects then Pixlr Express is for you. It has more than 600 effects, overlays & borders. Other than the image, you can crop, re-size, remove red-eye and whiten teeth. Without any other reason you just install this app, no one gives me so many things in one app and that’s too for free. Crop, resize, straightens and rotate images easily. ‘Auto Fix’ photos for a one-click fix to balance out the colors, adjusting for dark photos and poor lighting conditions. Overlays help you adjust the mood – amplify the tone, cool it down, or add surreal shades. Lighting effects can add drama, sparkle or a grunge look. Easily adjust the intensity and orientation of each effect. Finish off your photo process with the right border – pick a style that fits you. Look like a pro with cool photo effects like focal blur, denoise and more. Explore color tools to adjust contrast, brighten, or focus on one color with a color splash. Share your photo directly with your friends through Facebook, Instagram, Twitter or any of your favorite sharing apps, or just save it back to your Gallery. No camera required! Select a photo from your gallery and start applying filters. If your device has a camera, you can also snap a new picture from within the app. Yours Android is incomplete without a File Manager and Solid Explorer is my favorite. Sold Explorer support two independent panels for browsing, it means you can browse the SD card in one panel and network storage in the second.One more important feature is drag n drop, you can drag a file by holding down on its icon and dropping it somewhere on the opposite panel. VLC for Android is still in beta but i love this app on my desktop and can’t resist myself from installing on my phone. VLC for Android play most local audio & video files including network streams. You can browse the media library from the app itself. 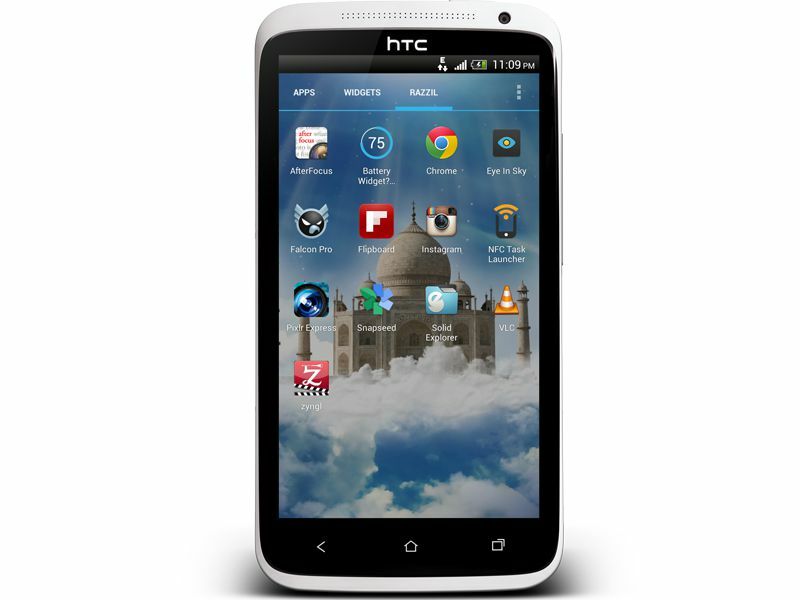 It also supports for multi-track audio, subtitles, aspect-ratio adjustments & gestures to control volume & brightness. The Zyngl app for Android allow you to play Bollywood Hindi music on the Go. Zyngl app has catchy UI and easy navigation which is not present in other apps. Search for songs, albums and playlists. Search by actor name, singer, year, song or movie name. Listen ‘Top Songs’ from latest releases. Also Watch Video of the song. The app is new and still in the development process but i love the app so much that I switched my default twitter client to Falcon Pro. Falcon Pro is the premium app but the price is low. The app is compatible with both phone & tablet and it has a beautiful UI with double Sliding Menu. What’s your favorite apps? Do tell us in the comment. Great list of apps. Some of the apps like Snapspeed. AfterFocus are new to me. I’m going to install those apps.